I pulled this recipe out of my recipe binder and had to laugh at the date. I printed this on December 21st, 2006. I’ve used this pie crust on a ton of recipes before, but I never thought to blog about it. I’ll be honest, if I’m spending a lot of time in the kitchen, I tend to cheat and use refrigerated pie crust instead of making it from scratch, but I’ll always use this recipe if I need a lattice top for a pie. 1. Combine flour and salt together in a large bowl. Cut in shortening until the mixture resembles coarse crumbs. 2. 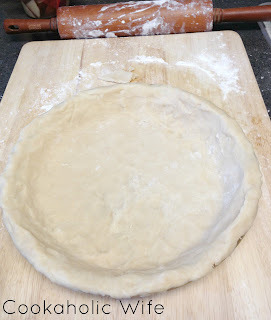 Stir in water with a wooden spoon until dough forms, adding extra flour if needed. Form dough into a ball, wrap in plastic and refrigerate for at least 4 hours, but up to overnight. 3. Lightly flour a surface. 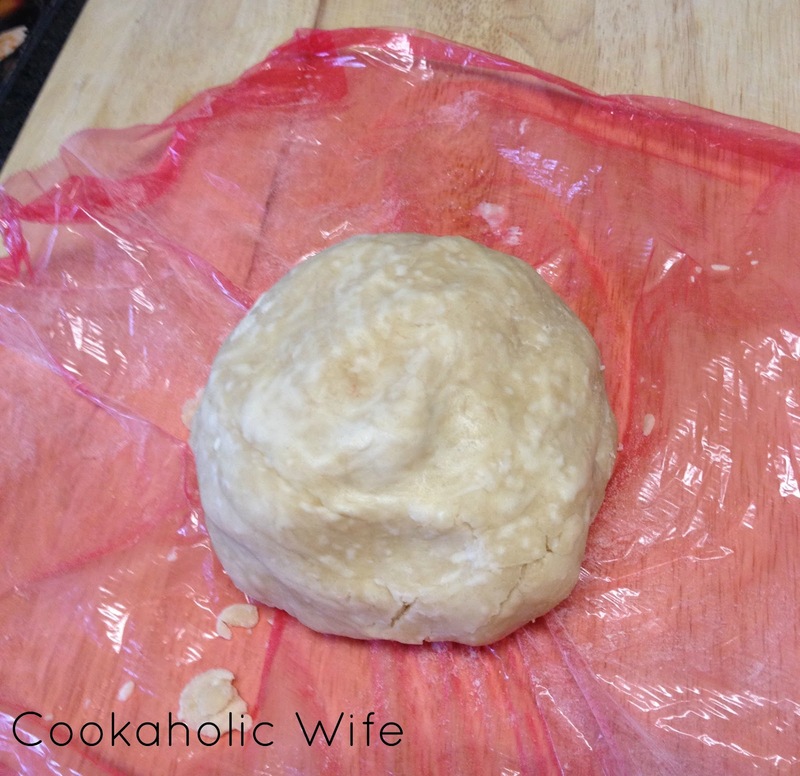 Roll dough out to desired size. Use as directed for pie recipe. Ive been in search of a pie crust recipe. What do you use for your shortening? Could I sub in butter or margarine?